In a major boost for green vehicles, the Maharashtra Cabinet has cleared the much awaited electric vehicles policy to encourage manufactures as well as the users. 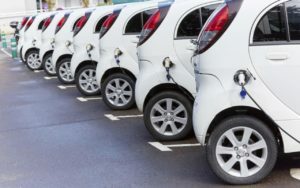 With Union Road Transport and Highways Minister Nitin Gadkari pushing for e-vehicles, the state the industries department has offered a slew of benefits for manufacturing, creation of infrastructure and consumers. In November 2017, India’s first electric charging station was set up in Nagpur by Indian Oil. With the initiative, the State government is aiming to generate investment of worth Rs 25,000 crore along employment for 1 lakh people. Under the policy, electricity rates for charging stations that will set up under the policy will be on par with the residential tariffs. Vehicle companies will be able to set up charging stations even at petrol pumps after all the safety norms are followed. The State government will provide subsidy to companies who set up charging stations in the State. The State government has proposed 25 per cent investment (maximum of Rs 10 lakh per charging station) the first 250 stations they set up. Meanwhile, in a rare policy extension, the Government has also announced waived of road tax and registration charges for e-vehicles in the state and also a 15 per cent subsidy for the first one lakh vehicles that are registered in the state. For two-wheelers the cap for the rebate is Rs 5,000, Rs 12,000 is the cap for three-wheelers and for four-wheelers it is upto Rs 1 lakh. The rebate will be reverted in the account of the person in whoes name the vehicle is registered in three months from the date of purchase.